You are at Home Food Adventures The secret is out: there is a fourth kind of chocolate! The secret is out: there is a fourth kind of chocolate! So we all know and love dark, milk and white chocolates. But did you know there is a fourth kind of chocolate out there? I know right? This is GROUNDBREAKING! I am so excited to introduce to you, the ruby chocolate. 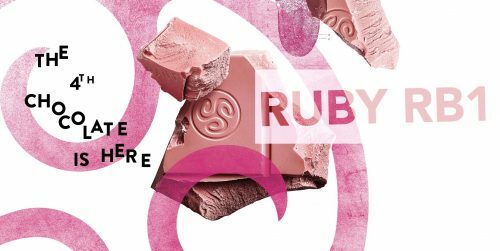 The ruby chocolate was actually discovered about a decade ago (how can they keep such a secret from us!?) It comes from a ruby cocoa bean and it has taken researchers many years to find the perfect way to process this beauty so the world can enjoy it. Thank you chocolate gods! As a cook, food and chocolate lover, I am so excited to see new ingredients like these get introduced that are natural and not artificially produced. All I can imagine are the delicious treats that can be created with this magical ruby chocolate. Callebaut is a Belgium chocolate company that have been making high quality chocolates for over 100 years. They are my go to place to get all things chocolate. You can find them online and in many retailers around Toronto. Make sure you subscribe to my newsletter and follow me so you don’t miss when I finally get my hands on some ruby chocolate. Comment below with what you would like to try making with the ruby chocolate?